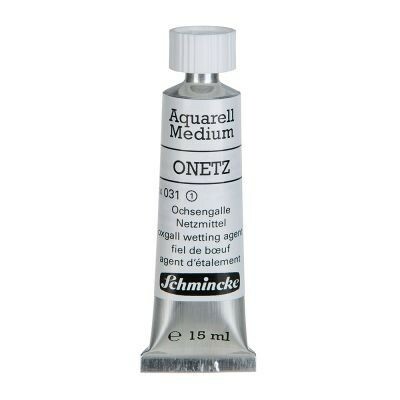 Schmincke Onetz Watercolour Medium can be used to modify the working characteristics of your watercolour paints. 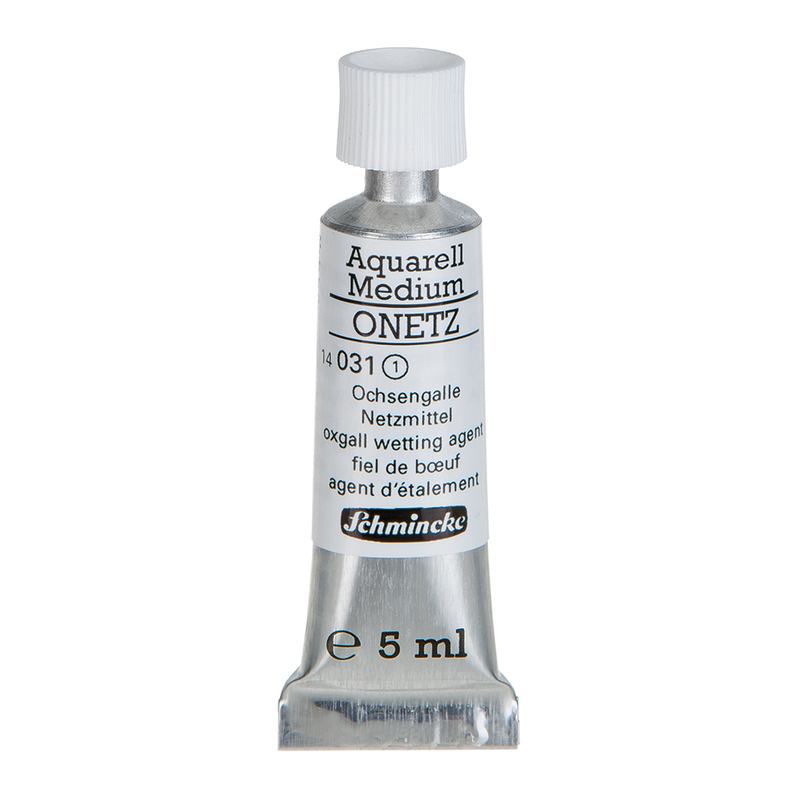 Onetz is a natural, thickened Oxgall wetting agent, designed to improve the flow of your watercolour or gouache colours. It will decrease the surface tension of your colours when diluted with water. A little of this medium goes a long way, so it should be used sparingly. Dilute the medium with a little water and then separately mix into your watercolour paint on a palette. Use only a little of the medium. Dissolved Oxgall can flocculate when it has been left in storage for a long period of time, but it should not effect the handling of this product. 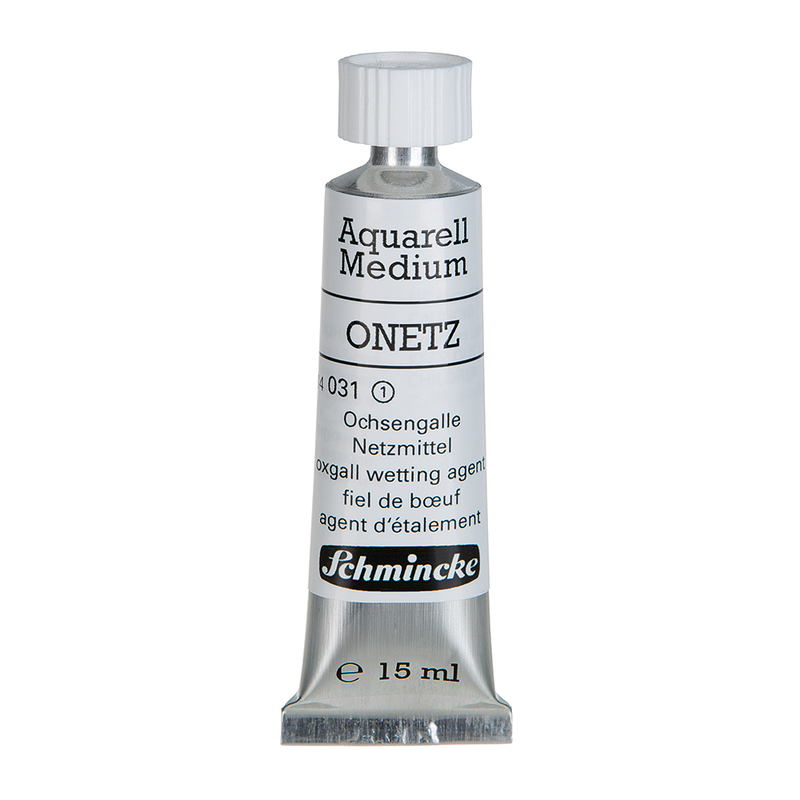 Onetz can also be used to 'degrease' undercoats such as lacquered palettes of painting boxes. Secure the lid of the tube tightly after use. It is always advisable to test a small area with this medium before you use it on your final work.